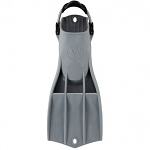 Scuba Center is an authorized Aqua Lung / Apeks Dealer. 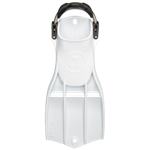 The RK3 HD fin is the latest in the RK3 range. 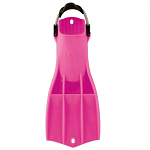 It is made from a higher density material than the standard RK3, which makes the fin stiffer and heavier and is therefore the ideal fin for dry suit diving. 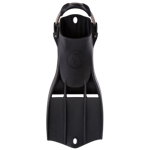 The new, heavier compound makes it negatively buoyant and produces a stiffer blade, providing additional power in heavy currents or surf. Special Order. Please allow for additional lead time. Size recommendations listed with fins are for use with "standard" sole dive boots. 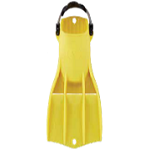 For use with Aqua Lung EVO4, DUI Rockboots, or similar... add approximately two shoe sizes.